VHM-Endmills for Glass & Carbon Fibre reinfplast 4mm (7986004001) | DamenCNC B.V. 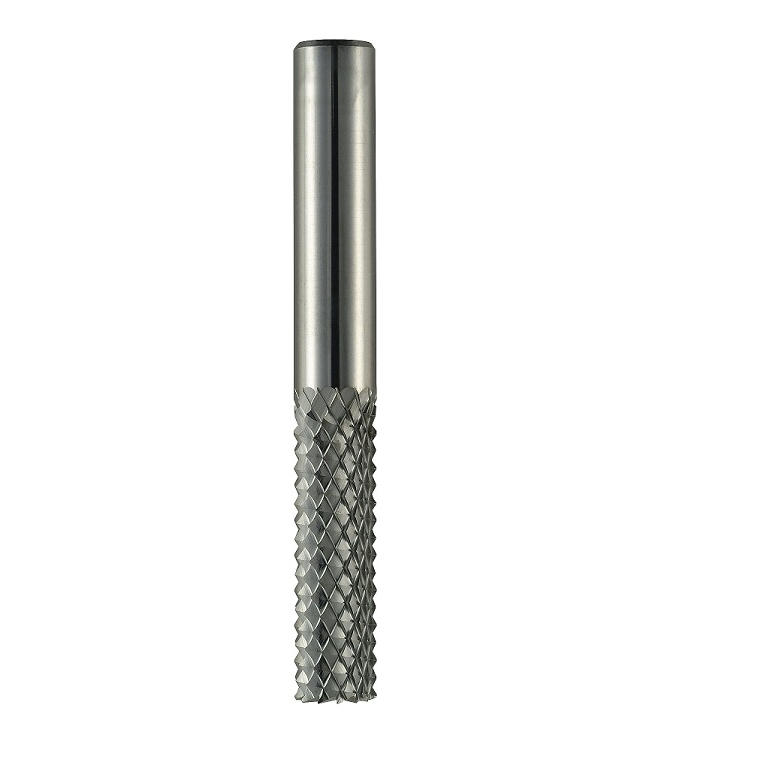 This cutting tool is made for cutting glass-fibre and carbon fibre-reinforced plastics. It has a special spiral pattern. It also has a cutting edge at the bottom, so it can be used for milling and drilling. 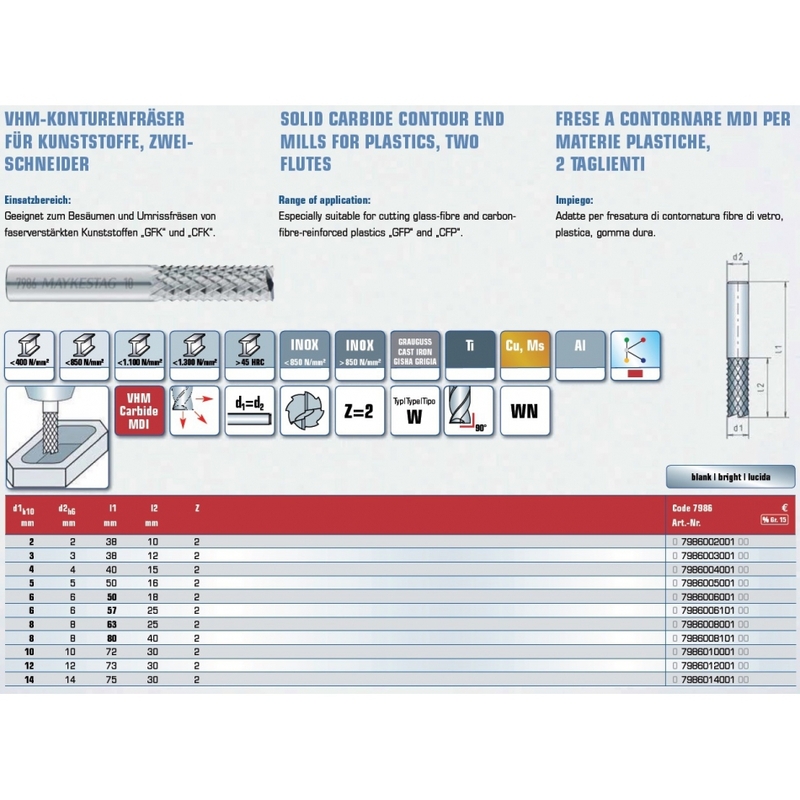 For cutting glass-fibre and carbon fibre-reinforced plastics.